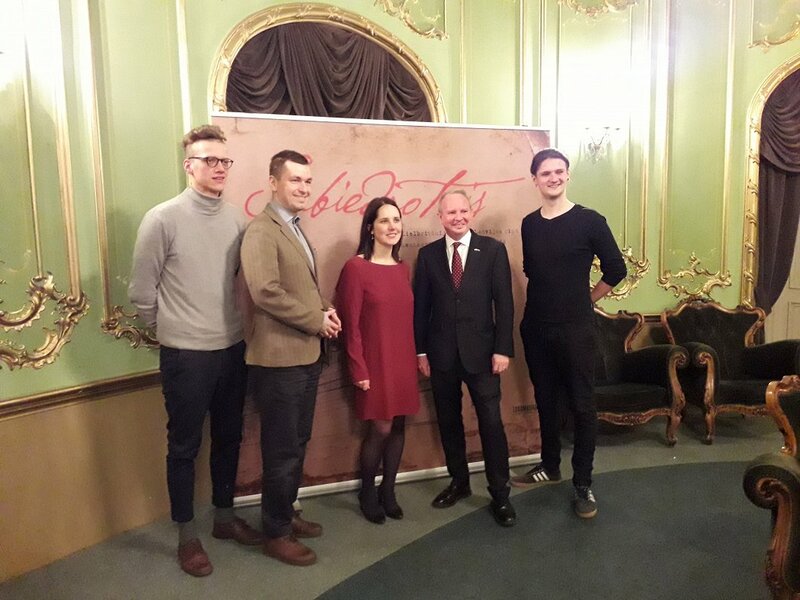 April 11 saw the press screening of a new documentary film, Ally (Sabiedrotais), which explores the role of the United Kingdom during Latvia's independence struggles of 1918-19. Introducing the film ahead of the screening, British ambassador Keith Shannon said: "The film tells the story of Latvia's independence struggle and Britain's political and military support for it. 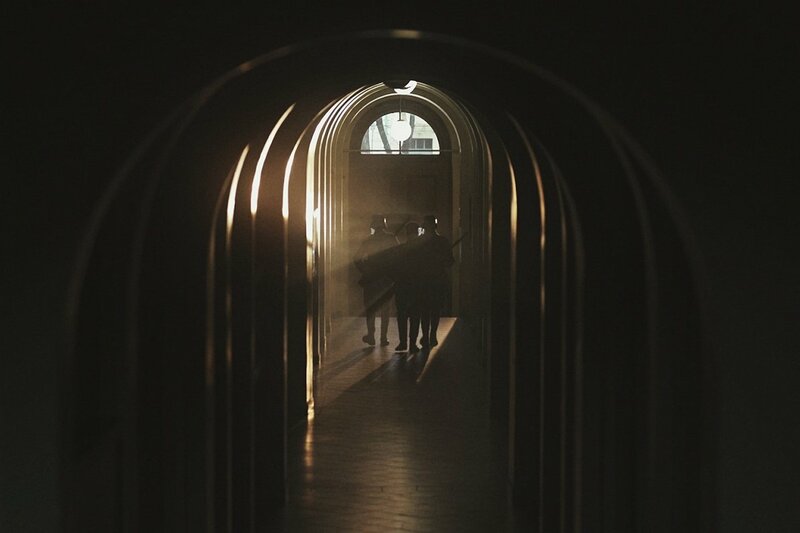 Although we wanted to highlight the role of Britain, we also wanted to contribute to a wider understanding of the very complex situation in Latvia at the end of the First World War... the film depicts a much broader military, political and humanitarian situation in Latvia at the time." Running for half an hour, the documentary, made by Latvia by Locomotive Productions combines some atmospheric reconstructed historical scenes with original archive material and texts from both British and Latvian archives, including contemporary accounts from British diplomatic representative Herbert Grant-Watson and military representative Major Austin Keenan. "The Keenan telegram is in a series of papers in our national archives, " said Shannon. 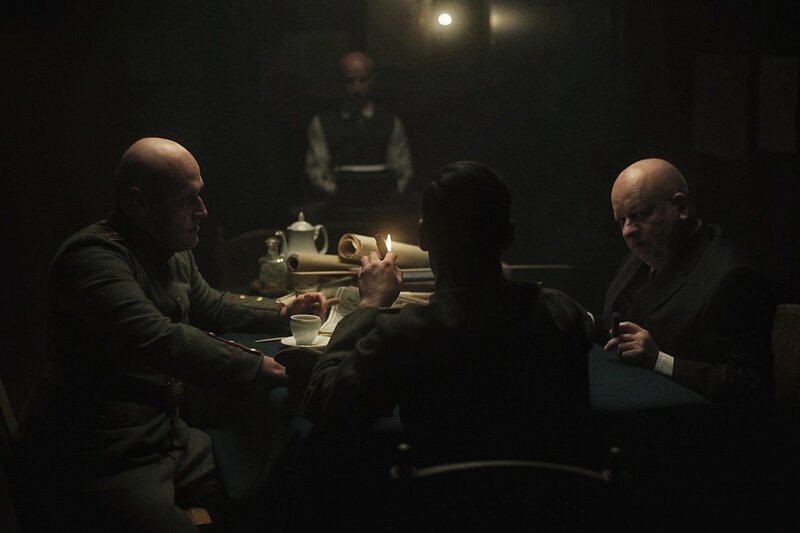 "I've seen this telegram myself and there is something very special about handling that document and then seeing it brought to life on the screen... what was happening in Liepāja at the time was not just of local interest but was of interest to the world's leaders." "We've learned a lot from doing this... the role of Major Keenan in particular probably deserves a film on its own. It was quite clear he struck up a close personal relationship with [Latvian Prime Minister] Kārlis Ulmanis, whom he effectively rescued, and that relationship continued for many years afterwards." What Ally underlines more than anything is the incredibly complicated situation in Latvian territory in 1918 with German, Latvian, Russian, Estonian and Allied forces involved in a maelstrom of competing objectives and ideologies to decide the future of the region. For three months, the Ulmanis government was based on British naval ship Saratov, at anchor in Liepāja. 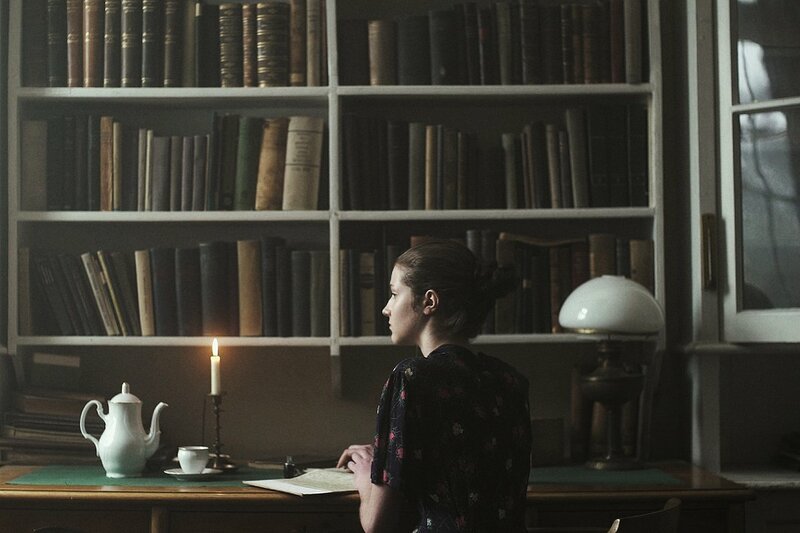 Indeed, some of the most intriguing sections involve readings from the unpublished diary of Dagmara Kopstale, a woman from a Baltic German family who remained in Rīga as the fight for the city continued around her. Importantly, she also gives a female voice to what might otherwise seem like a male-dominated chapter of history. The film ends with the story of HMS Dragon, a British ship that gave support to the Latvian army in the final battles of 1919. In one of those battles HMS Dragon was hit by artillery fire. 9 British sailors died and 5 were wounded, an event remembered every October 17 with a special ceremony at sea. Ally will be shown at screenings across Latvia and will be backed up an exhibition later in the year at the Latvian National Library about role of Royal Navy and HMS Dragon, the centerpiece of which will be the original ship's logbook where the captain of the ship details exactly what happened. Director Karlis Lesiņš said: "This period is very complex. At times it's hard to see who was supporting the Latvian government and who wasn't, so we have tried to use visual means to help explain. We understood it could not just be archive material... plus it was a chance to use great costumes and locations." Producer Dominiks Jarmakovičs agreed, describing how his role involved mediating between the factual, historical side and the artistic side of the production.